Jare "Cheek" Tiihonen is retiring from his career as a recording artist, leaving behind his career as Finland's best-known rapper. DigiScoop cinematographer Sami Wilenius was shooting this special interview for Seiska Magazine as well as three other videos with Cheek. If you want to view more videos from SEISKA, please visit their YouTube Channel. Cheek: "I have given everything I've got!" Cheek's career will end 25th of August 2018 in Lahti, where his artistic career also started. In this interview, he opens up about his feelings before last show. Cheek has released nine studio albums, three of which have surpassed goldware, two platinum lines, and three multiplatforms. Four of the albums have been one of the top official albums in Finland. Fourteen songs from Cheek have reached the top of the list on either the official singles or download lists in Finland ("Sun must," "Liekeissä", "If I'm fucked", "Jippikayjei", "Syypää sun smile", "Phone wanks sang," "Give me "," Jossu "," Diamonds Forever, "" Extras "," Shouts, "" Bridges, "" We Are Part 2, "and" All Good Everything "). Cheek has reached the top ten of these lists with 35 songs. His videos have been watched over at Youtou over 109 million times. A story about Finnish entrepreneurship. APIX Messaging Ltd offers a unique e-invoicing solution and markets it together with their partners to the end-customers. The purpose of this video is to boost the awareness of Apix solution most importantly thru viral channels. Apix makes it quick, easy and affordable to implement e-invoicing and begin receiving e-invoices. Besides that, Apix also digitizes all of the business documentation related to the supply chains, such as orders, confirmations, and invoices. 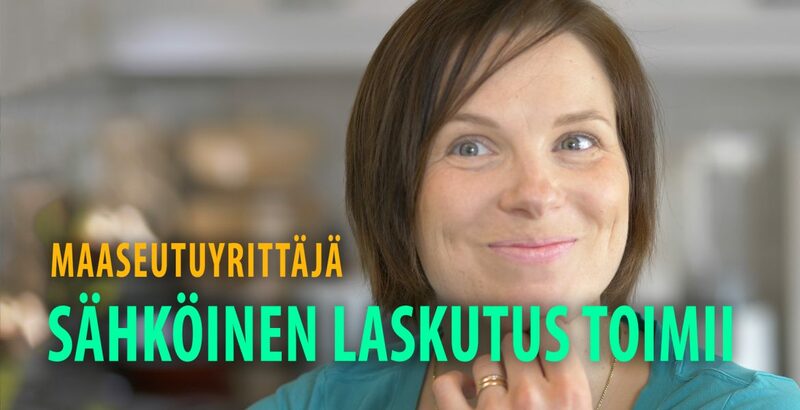 This touching story tells about Finnish entrepreneurship and it describes how the Apix billing solution has brought Rauhamäki's family more time to be together. The video production is produced in cooperation with APIX partner Suonentieto.